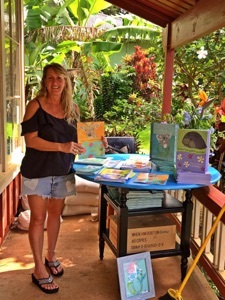 808 Day Trip is owned and operated by Lanai artist and children’s author Judi Riley. Judi is well known in the Hawaiian islands for her series of TikiTales.com children’s books and for her Gold VIP live streaming Periscopes (@TikiTales) from the islands of Lanai and Maui. 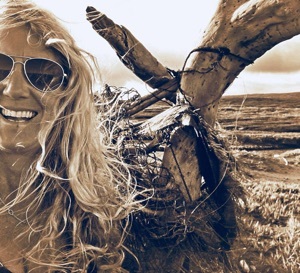 After living on the island of Maui for over 20 years, Judi made the move to Lanai just over 6 years ago for a creative retreat. She spends every sunrise watching night melt into day on Shipwreck side, and every afternoon snorkeling in dolphin filled Hulopo‘e Bay. She dreamed up 808 Day Trip to provide clean, comfortable, affordable rental vehicles because friends of friends who visit from Maui and O‘ahu could never find a decent car rental. She dreamed up the drive guide and driving map to help share her love of Lanai ... and what she’s learned about the island’s ancient Hawaiian history as well as the pineapple plantation era history. She also has a mad crush on the spinner dolphins in the bay, and the miniature donkeys at the stables and she knows you will fall in love with them too. 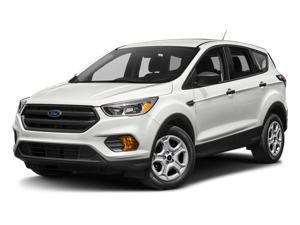 She hopes by visiting the island with 808 Day Trip, you will soak in a relaxing Lanai experience, and connect with the land, the ocean and the amazing people who call Lanai home.